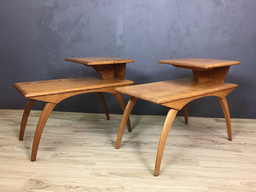 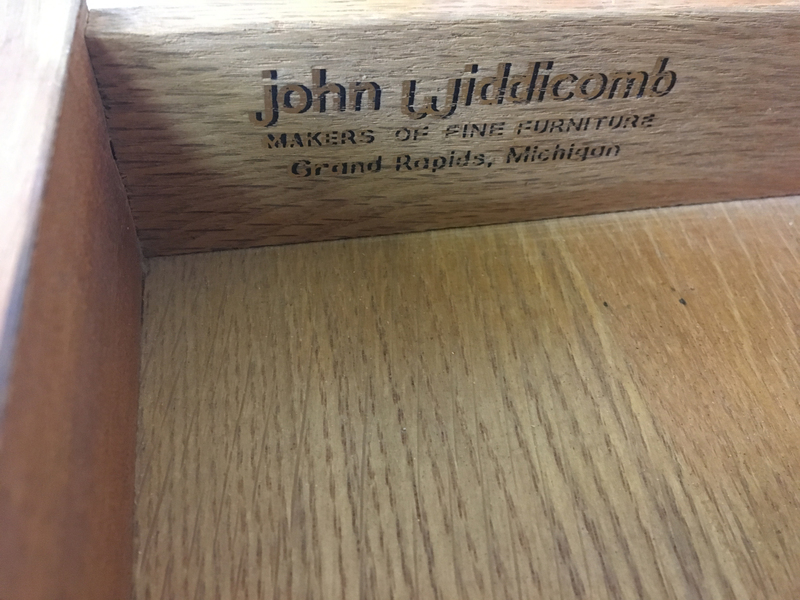 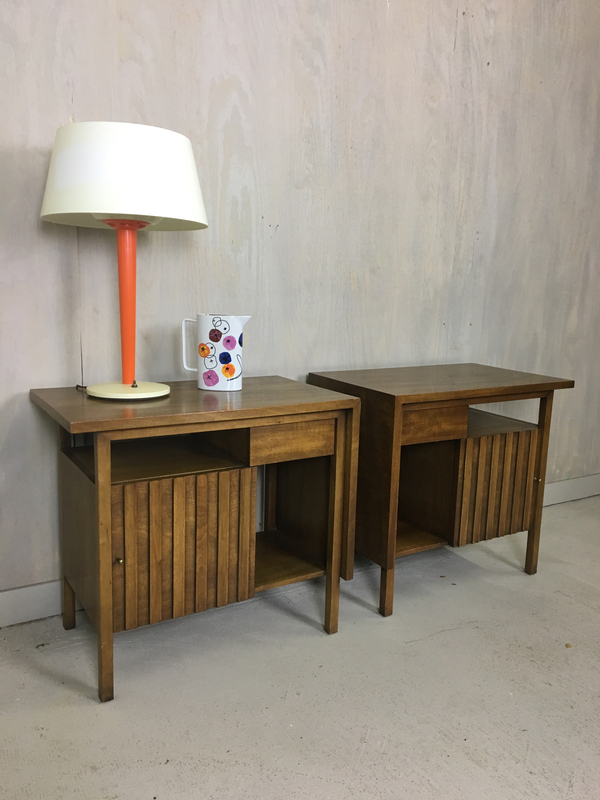 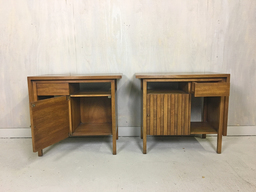 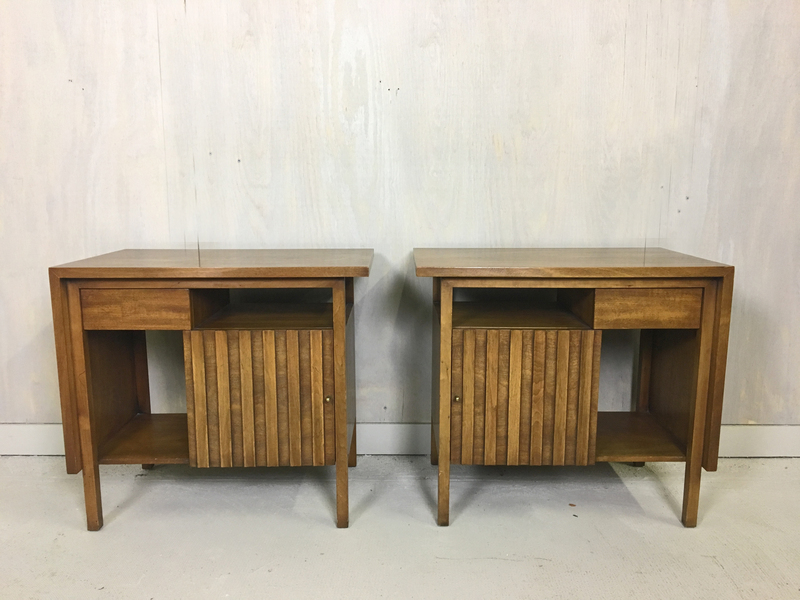 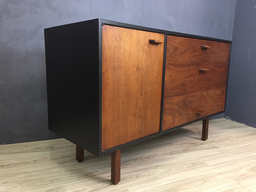 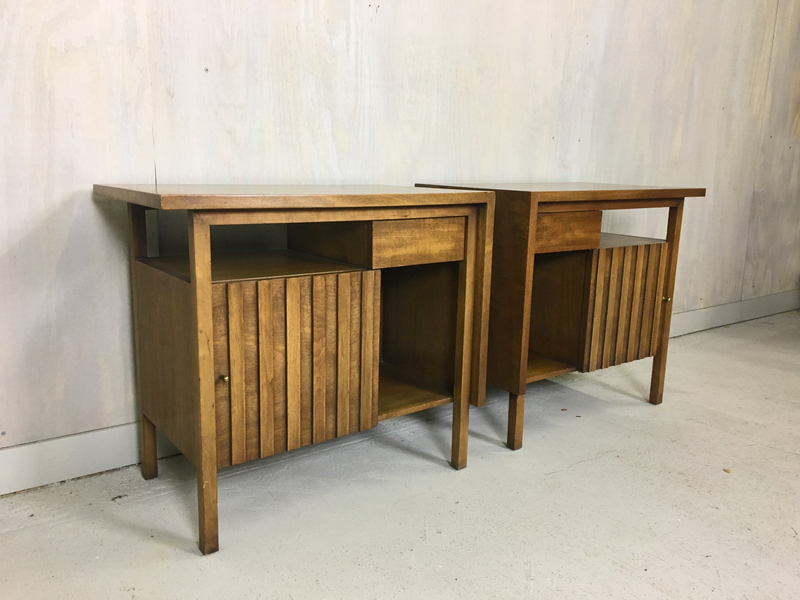 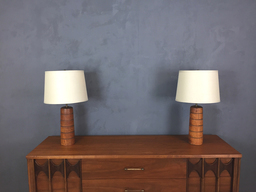 Manufactured by John Widdicomb Furniture Co.in the 1950s, these unique bedside tables feature a cabinet area, a drawer as well as two open shelves. 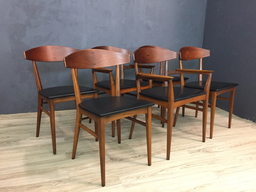 These were obtained from the original owner who purchased them in 1961 and cared for them meticulously. 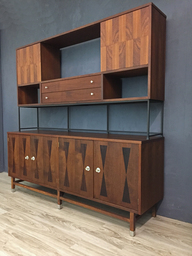 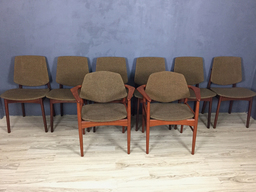 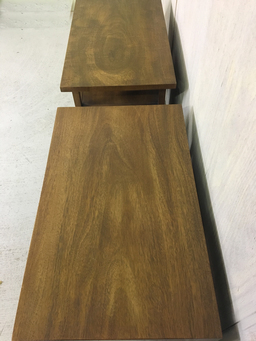 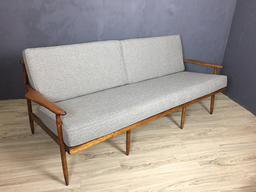 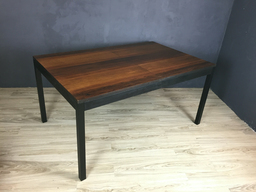 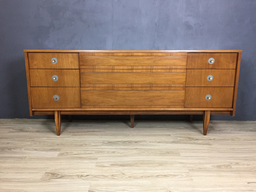 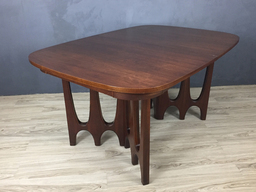 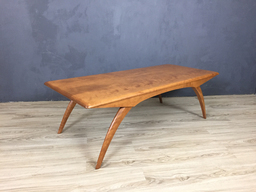 They have the original finish which is a warm brown and is in excellent vintage condition. 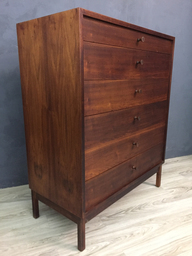 Beautiful, sturdy and functional.